But I really don’t have a choice. I took yesterday off from exercise completely, and Tuesday I did the elliptical, so I haven’t run since Monday. But after I did run on Monday, I forgot something crucial—icing my shins. So they have hurt ever since then, and probably will until I loosen up those muscles again. At least, that’s my hope. I’m sure running will be at least slightly painful tonight, but I will absolutely not forgot to ice afterward. My therapist also suggested heat before running, but that really isn’t possible when I’m coming straight from work (which is at least a 40-minute commute). This is really the first day I haven’t wanted to run. I was out late last night and will be up late tonight watching the first new episode of Scandal since early December (priorities, baby!) so tomorrow I’m going to be draaaggggging. I said that once and someone said to me, “You take steroids?” No! I sometimes do juice fasts. They usually only last for two meals, or it’s just a one-off thing. Take last night for example. I got home from the gym around 7 p.m. For some reason, the workout KILLED me. I think I’m still fighting a sinus infection because my head hurts constantly and I’m stuffed up, and I was winded after five minutes on the elliptical, which is very unlike me. Anyway, by the time I got home, I could hardly think let alone cook. And I had nothing defrosted that appealed to me. So I put the spinach, carrots, apples and blackberries—that were all starting to go bad— into my juicer. I added two scoops of protein powder and called it dinner. I killed two birds with one stone. I got rid of all the produce that wasn’t going to taste good on its own and I nourished myself with protein and healthy calories. Tonight I had not one, but two happy hours that I at least need to make an appearance at. So today was my day off from working out by default, but also because I haven’t had a day off since last Wednesday. I much prefer a weekday off than a weekend, because I have a lot more free time on the weekends. Of course, there may be weekends when I’m such a social butterfly that I can’t squeeze in a workout or I’m out of town, but let’s be honest—those are few and far between. Guess what else (besides me) is up & running? My fundraising page! Because I’m part of a team and not just running the race on my own, I committed to a $500 fundraising goal. I’m a bit embarrassed to admit that $500 was the minimum, but I’m very nervous about not meeting that goal (and having to pay the rest myself) so I decided to set the bar low, and set a new goal if and when I exceed my goal. That’s fair, right? Anyway, I’d encourage you to read up on my organization and learn about everything they do. I truly have never loved a job so much in my whole life, and people I talk to about my job don’t believe someone could actually be obsessed with their job after the honeymoon period, but I still am. And I firmly believe it’s because of our mission. If you have any questions about where your money will go, feel free to ask me. But I can tell you right now that 100% goes directly to adult and pediatric cancer care and research. It doesn’t go to one specific fund or area, but to where it’s needed most right now. I’m tired and already posted today, so I’ll just leave you with two things. 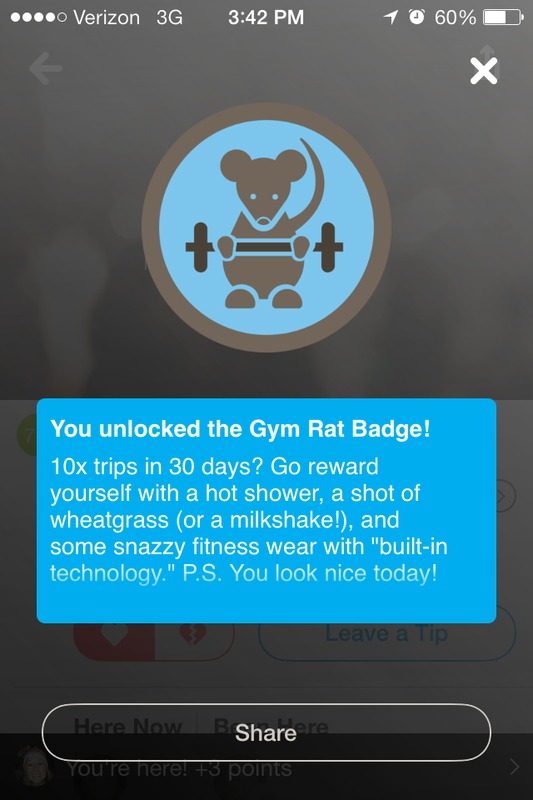 One, the foursquare badge I forgot I earned yesterday. Totally nerdy, but I’m proud of it nonetheless. Second, here’s today’s run. I like the quote at the bottom. I am not a runner in the sense that I wake up in the morning and look forward to an easy 8-mile run. I probably never will be. 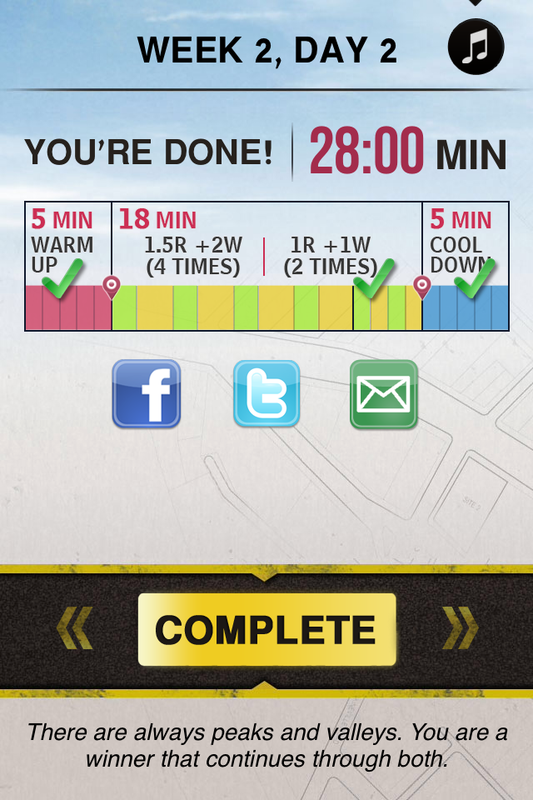 But then again, I’ve been stressing for days over the fact that I wouldn’t be able to squeeze in a run at all today. I ran Monday, Thursday, and Saturday, so my next run should be today but I was scheduled for a 90-minute interview with Big Sisters of Boston. This is a whole other saga in itself, but I ended up canceling my interview and shelving the idea of becoming a Big…for now. It means I can run tonight! I was smart and brought my gym clothes just in case they canceled on me. But then I got to my desk and read this lengthy email from the interviewer about all these time and financial commitments that were not part of the Big Brothers Big Sisters program I did in Florida. I have to fork over $75 today for the 5K registration fees ($25 for the race, $50 for my team) and start fundraising as soon as I get my runner page, so right now, I want to focus on that. But the strange part of all this is that I was actually worried about not running today. Sure, I can skip two days every now and then. But I found a groove and I like where I’m at. They say it takes 21 days to make or break a habit—good or bad. And I’d say that’s about right. I’m about to start week three of C25K and it’s already becoming a regular routine for me. On weeknights, I leave work and head to the gym. On weekends, I get up and have something small to eat like a sandwich thin with peanut butter, or a fried egg and milk, and chug water as I drive to the gym. It’s honestly easier to justify when I’m paying $10 a month (I know, really breaking the bank here) rather than when I get home to my comfy house with my cute dog who just wants to cuddle on the couch. I used to be adamant asked paying anything for a gym membership, but like most employers, mine gives me a $150/year wellness reimbursement. I wonder if I can include the $75 race fee since Planet Fitness costs me a whopping $120 a year, plus it was $5 down and there’s a $29 annual fee billed in June. Also, I can’t run or bike in the winter (well, I guess I could but I’m not suicidal) and although I had been keeping up with my Jillian Michaels Body Revolution at-home workouts, being overweight has made plyometrics really rough on my already-shot knees and ankles. Apparently, when an out-of-shape person with old tumbling and cheering injuries decides to try and become a runner in the dead of winter on frozen pavement, it doesn’t fare well for the shins. I learned this the hard way last winter. Even though I took it slow, it was still too much. I have old scar tissue on my shins from who-knows-what old injuries (what didn’t I break or sprain at some point), and when I started running, that scar tissue was like, “Nope!” and caused immense pain. Like, so bad I couldn’t even walk around my house in slippers, pain. 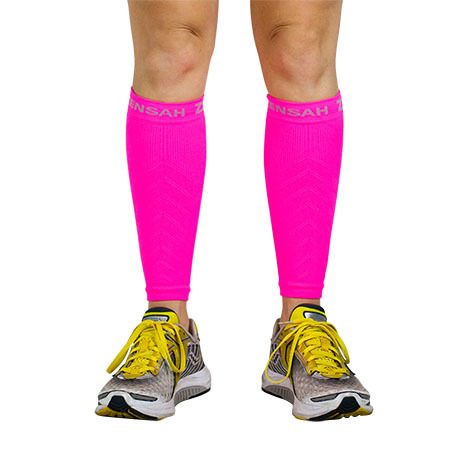 In addition to torture physical therapy, good running shoes and orthotic insoles, my trainer recommended compression leg sleeves. 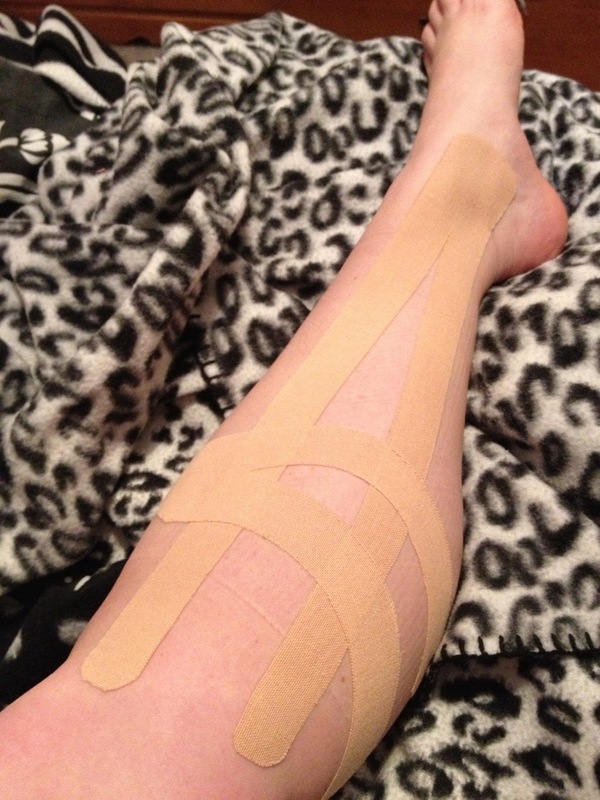 At first, he was taping me with KT tape when I left my twice-a-week appointments, but that meant I couldn’t shave…ever. I put up with it for a while because the tape made a world of a difference, but eventually I knew I wasn’t going to have him around to tape forever and wanted an easier alternative (I tried but really never could quite tape myself the way he did). So I picked out the Zensah sleeves. Oh my stars – what a difference! I wore these daily under my pants for probably two months. The way they are stitched mimics the kinesio taping method designed specifically for shin splints, so it was exactly what I needed. Now, I only wear these when I’m running or, occasionally, doing other cardio when my shins feel sore. But my shins never actually hurt anymore – at least not yet – so these are doing their job. My only complaint is that after a year, they’re starting to lose elasticity, which is to be expected considering how much mileage I’ve gotten out of them. My reward to myself for doing my first run-only (meaning, no walking breaks) training session on the treadmill will be a new pair of these. I have always had giant calf muscles, and now they are just giant calves, so I ordered a S/M but now that I’m losing weight and know how they fit, I’m going to order an XS/S next time. The ones I have now are white. What color should I get? I’m thinking neon pink or green. But this accomplishment is still a few weeks off, so I have time to decide. I bought these last year when I decided to try and be a runner. Aside from the shoes, I didn’t go about it the right way, and it resulted in a long stint in physical therapy, so these babies are basically brand new. Of course, they wouldn’t be complete without my Aetrex Lynco Sport Series L405 orthotic insoles. I have really high arches so these help support them, relieve my metatarsal pain, and of course, help my shin splints. Speaking of shin splints, stay tuned for how I keep those in check.